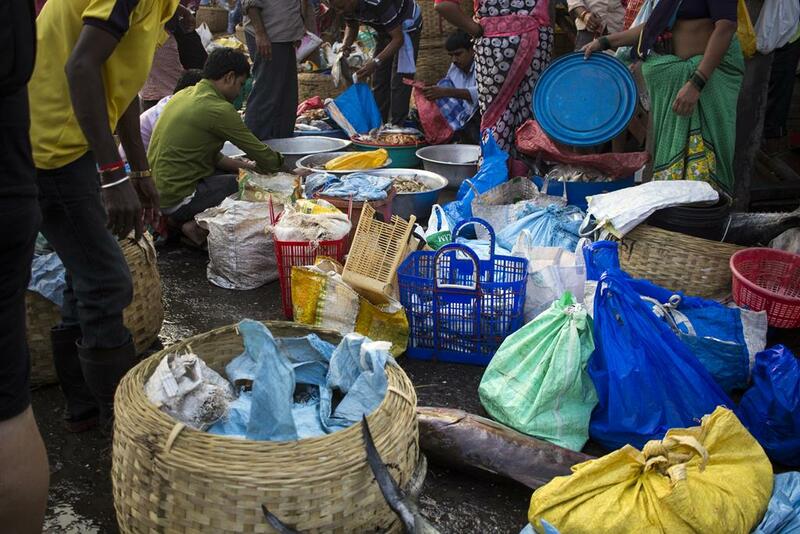 Scene at the fish market in Sassoon docks. 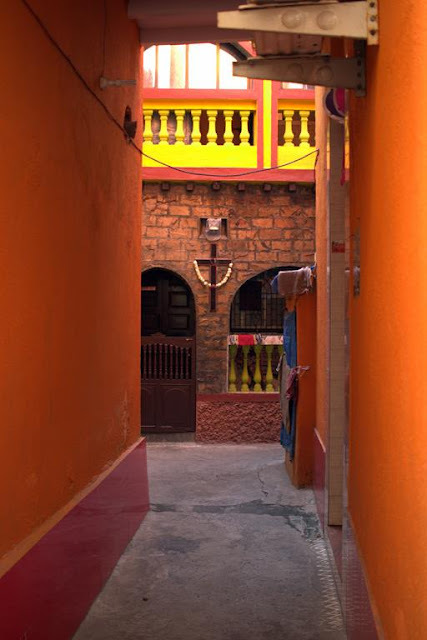 Neat, clean and bright bylane in Worli koliwada. 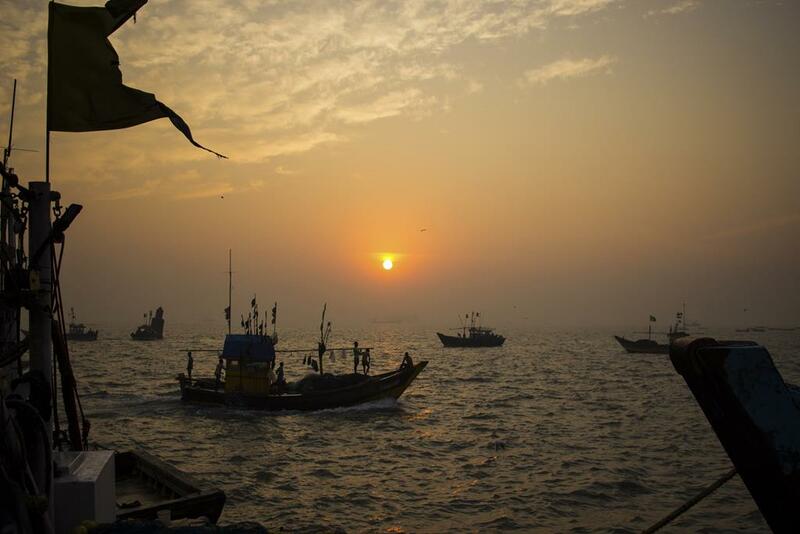 The Arabian sea is buzzing with fishing boats, as the sky lightens at dawn, bringing in boat loads of fish to Sassoon docks. 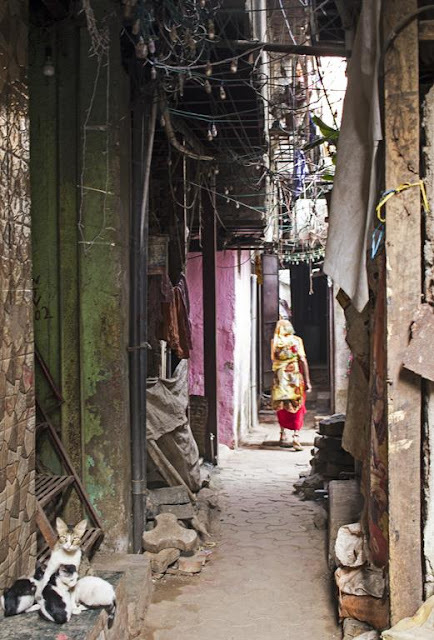 Navigating through the narrow alleyways in Kumbharwada, Dharavi. 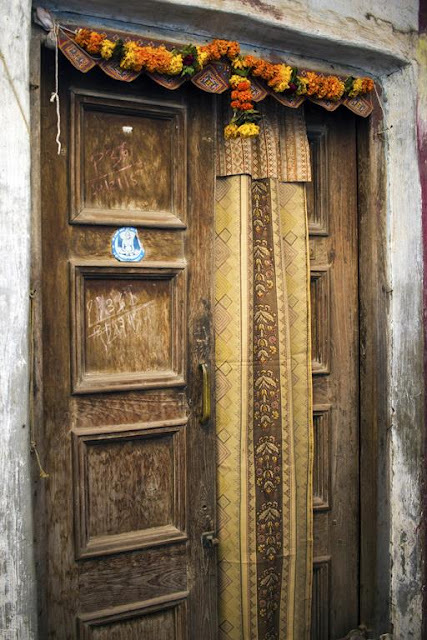 Beautiful doors in Worli koliwada. 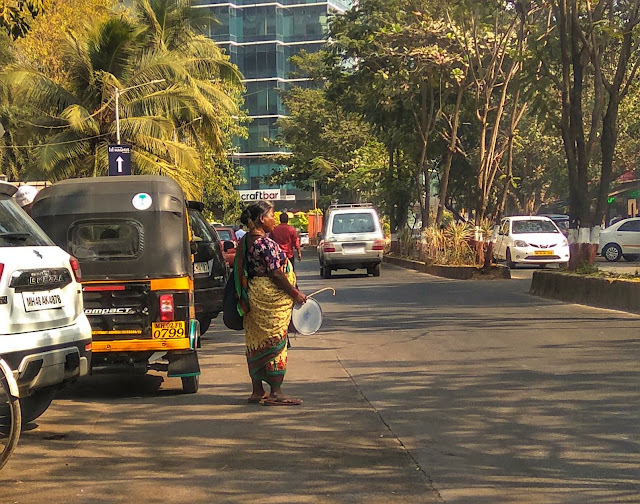 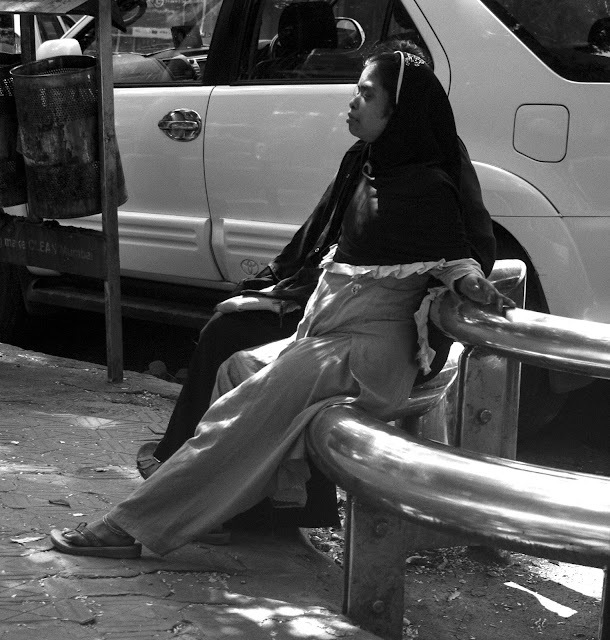 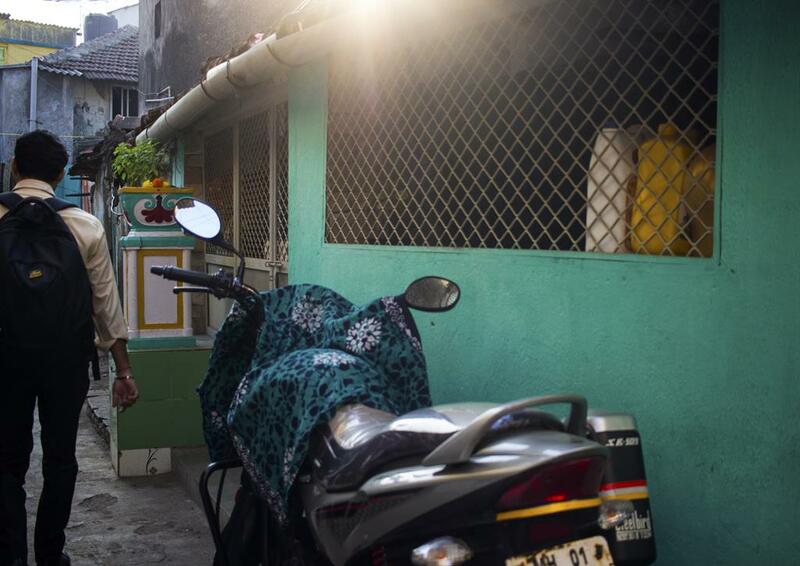 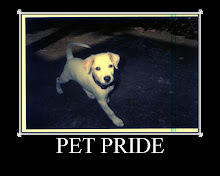 She was 'busking' in Bandra east. Resting during a morning walk. 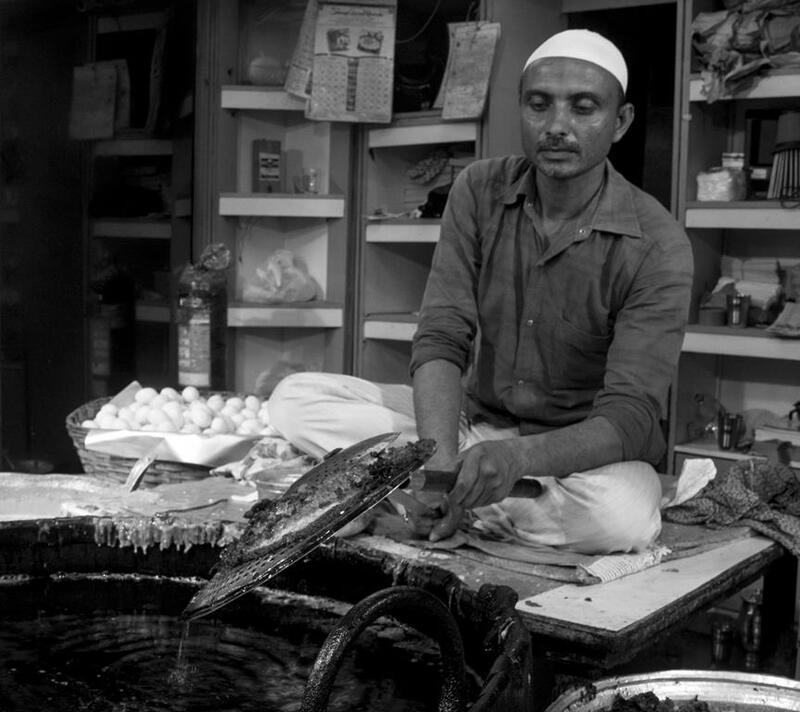 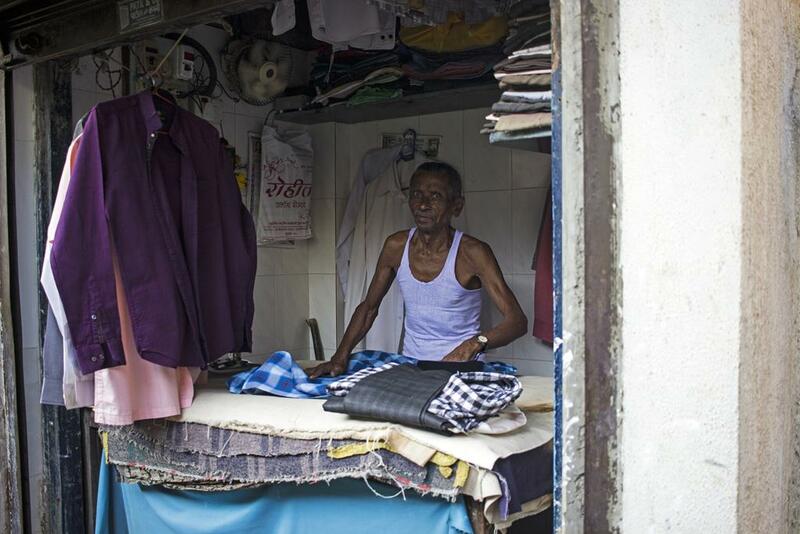 The Istriwala (the man who irons clothes) at his shop in Worli koliwada. 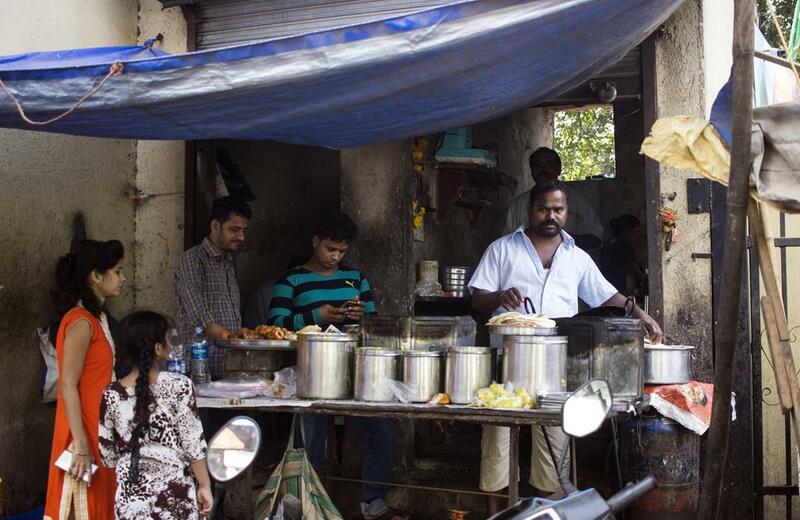 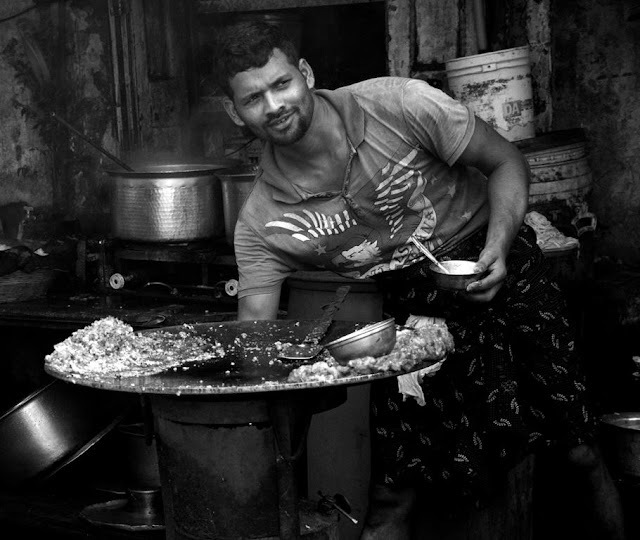 A street food stall in Dharavi. 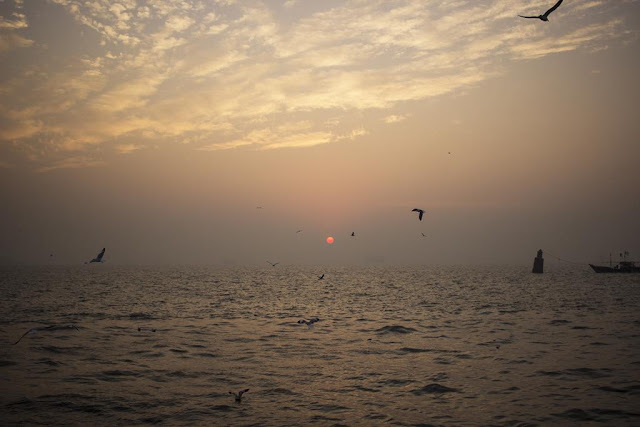 It is sheer pleasure to see the sun rise with the rhythmic background of the lapping waves that seem to be so content in what they are doing, as the birds soar in joyous abandon in celebration of the dawn of yet another beautiful day. This bike is used for riding and drying of clothes too, in Worli koliwada. 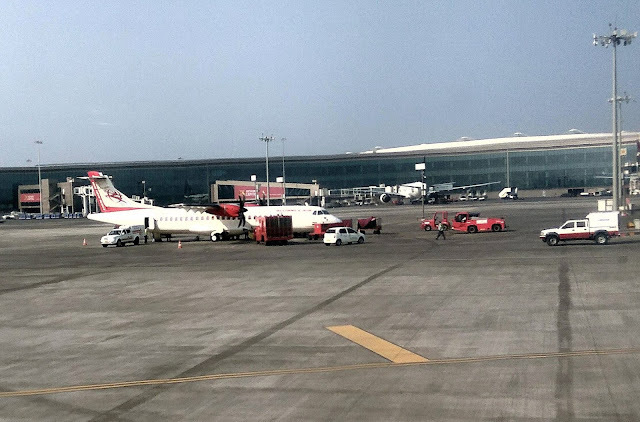 Alliance Air aircraft parked at Mumbai airport. 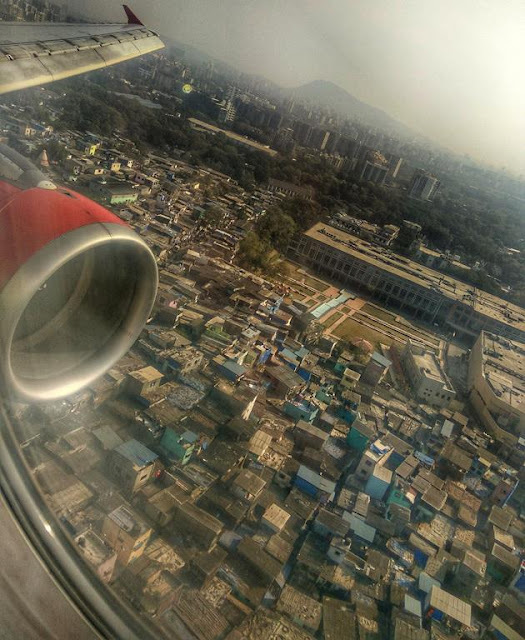 A bird's eye view of Mumbai as we come in to land at Mumbai Airport. 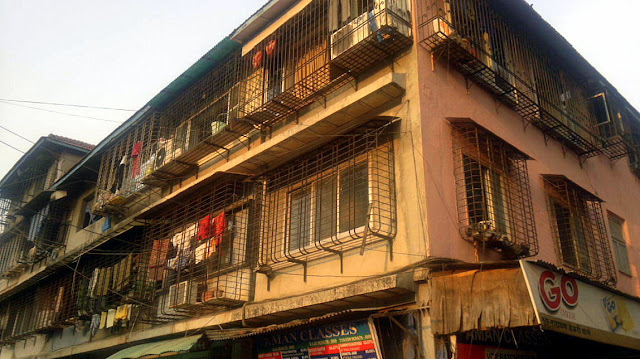 Grilled windows for safety, a common feature of apartments in Mumbai. 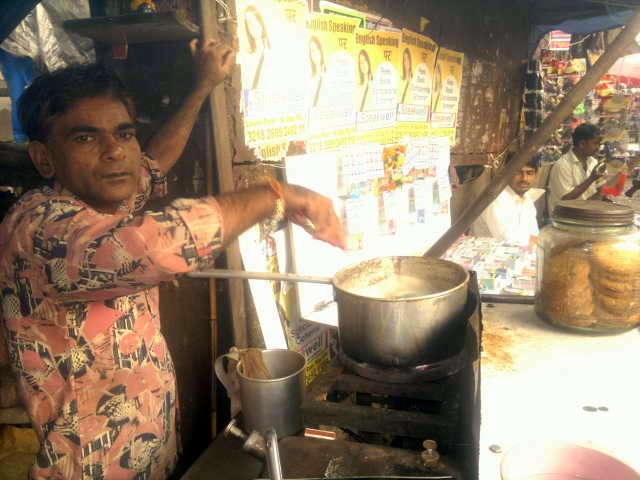 Brewing chai at the tapri in Lower Parel. 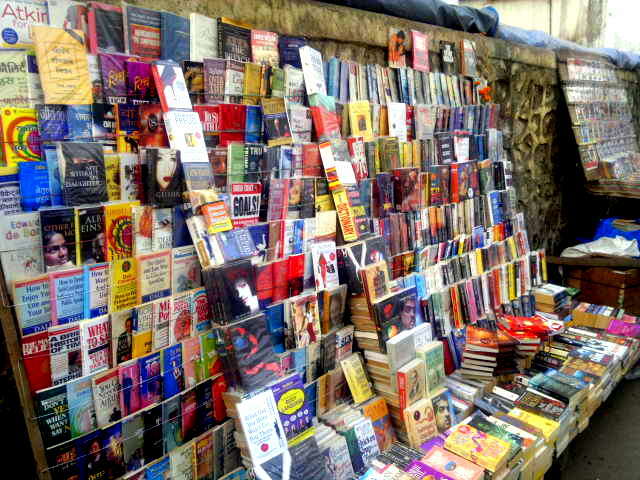 Irresistible to some - a bookstore on the street in Lower Parel. 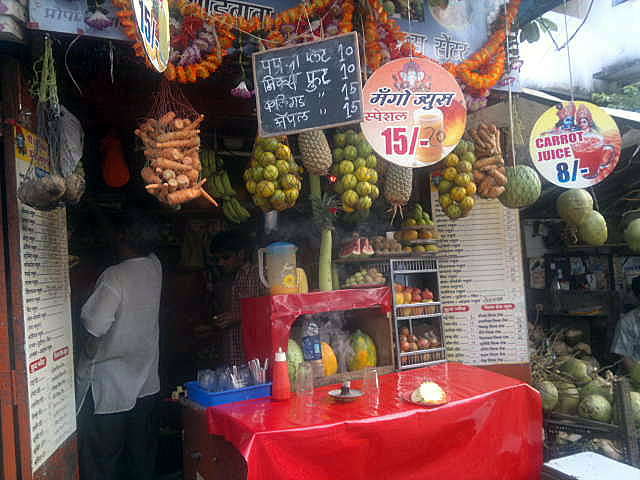 A wide variety of fresh fruit or vegetable juice to suit your taste in Lower Parel. Joy at being photographed. 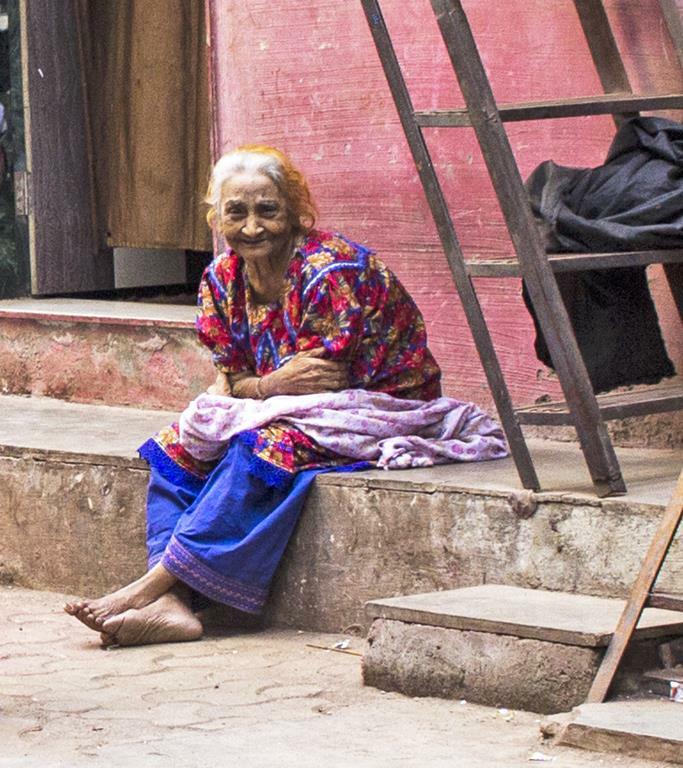 This was in Kumbharwada, Dharavi.